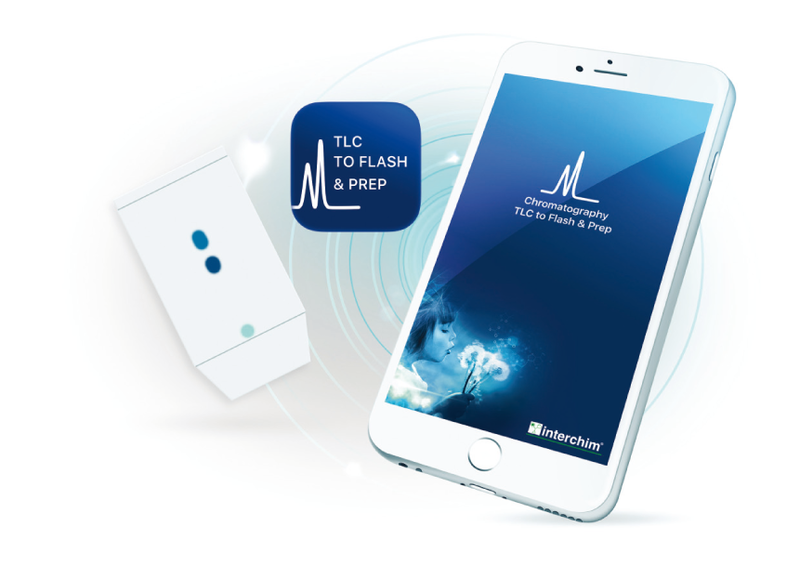 INTERCHIM: TLC to Flash & Prep app. INTERFINE CHEMICALS > Flash Purification - UPFP > TLC to Flash & Prep app. 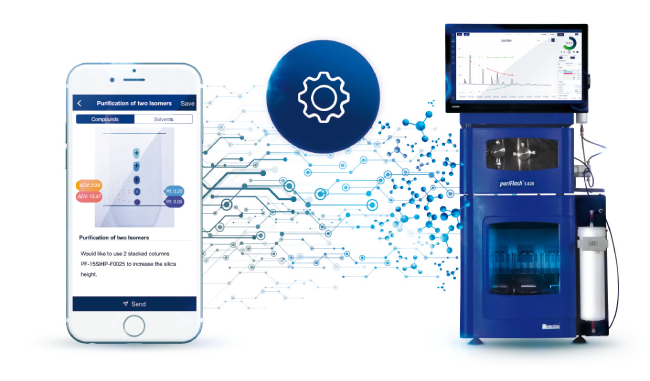 An automatic detection of your compounds and the calculation of Rf and ΔCV (= ΔK). "Genius" will suggest the best method for a successful purification. To archive your data if you wish. Flash & Go: Start with a "New TLC". 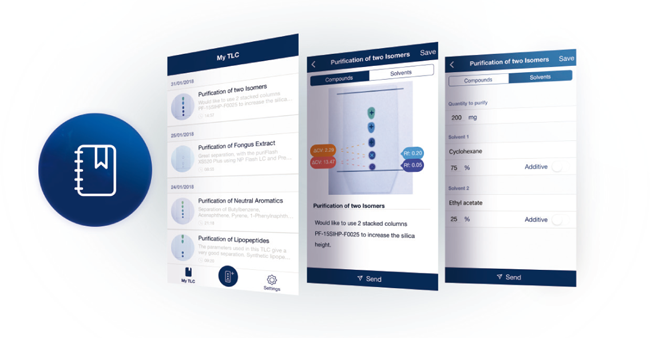 of the TLC with your smartphone or download it from your library. Your compounds will be detected automatically. Select the ones of interest with a tap. The application calculates Rf and ΔCV (= ΔK). It indicates if the Rf are placed in the comfort zone to carry out your purification. From the smallest ΔCV obtained on your TLC plate, the application gives you the level of difficulty of the separation. Indicate the solvents, their proportions and your comments in the dedicated areas. Save your TLC plate information. 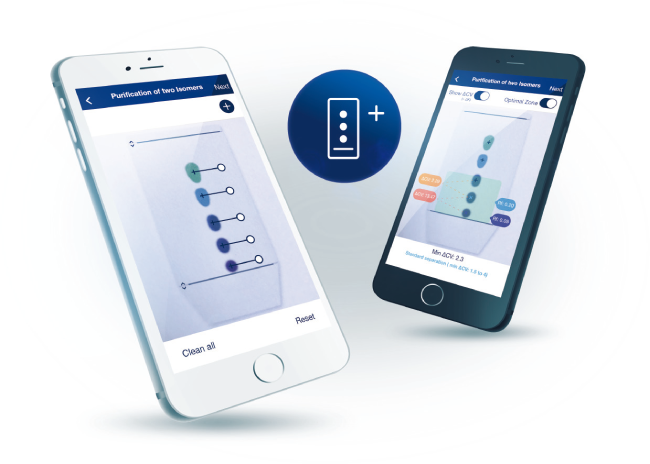 Send them to the email address of your choice or directly to your puriFlash® by bluetooth or wifi: "Genius" will recommend the best method for a successfull purification. "MY TLC" to save your data. Archive your TLC and keep all the valuable data in one place. If you want to reuse the settings of a plate for a new separation, it is so easy, in a snap you can send it back to the puriFlash® of your choice. "SETTINGS" to personalize your experience. Pair your device with Bluetooth or Wifi to your puriFlash®. Configure your app according to your preferences. Access quickly and directly to our websites.